The unique layout of this Ellicott City, Maryland, homestead affords an expanded panoramic view of the rolling hills below. The floor plan is dominated by natural curves that recapitulate the undulating landscape. Natural light fills every room through large windows that illuminate bright fixtures and clean, open spaces. 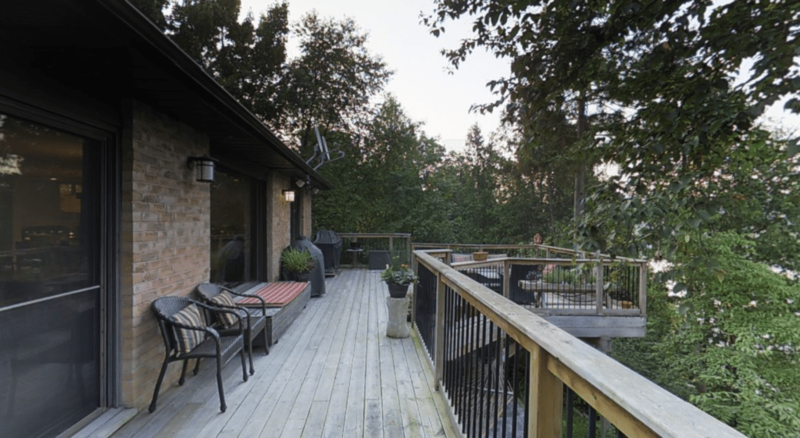 This property is designed for entertaining with an ample slate deck fit for a barbecue or family reunion. Learn more about the property on HomeVisit.com. Article image credited to HomeVisit | The Northrop Team Of Long &amp; Foster Real Estate, Inc.